Where can I buy Toyota parts and accessories? You can buy Toyota parts at our Toyota dealership. We carry a full line of OEM parts and accessories in our Toyota parts department. You can purchase factory-made parts and accessories in our Toyota parts department or you can order them from us online. How can I schedule a service appointment? We make scheduling a service appointment a cinch. You can give us a call or you can stop by our convenient location to make an appointment. Alternatively, you can schedule an appointment to bring your vehicle into our Toyota service center near Los Angeles, CA any time online. Your Toyota dealership only sells new Toyota cars, right? No. 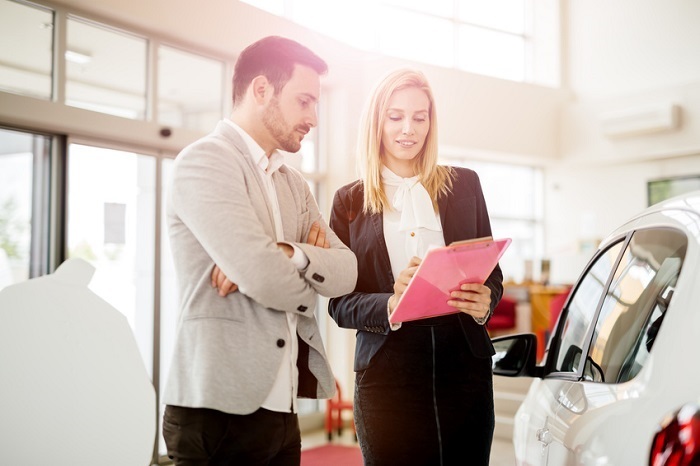 While we do maintain an extensive inventory of the latest Toyota models, we also sell previously owned automobiles and certified pre-owned Toyota vehicles. Is your showroom open on Sundays? We know that not everyone is free to shop for vehicles during the work week and that Saturdays are often consumed with activities involving the kids. That’s why our showroom is open from 9 am until 10 pm every Sunday. Every other day of the week, our showroom is open from 8:30 am until 10 pm. If you have a question that’s not covered above, we encourage you to reach out to Keyes Toyota so we can answer it now. We look forward to hearing from you soon!